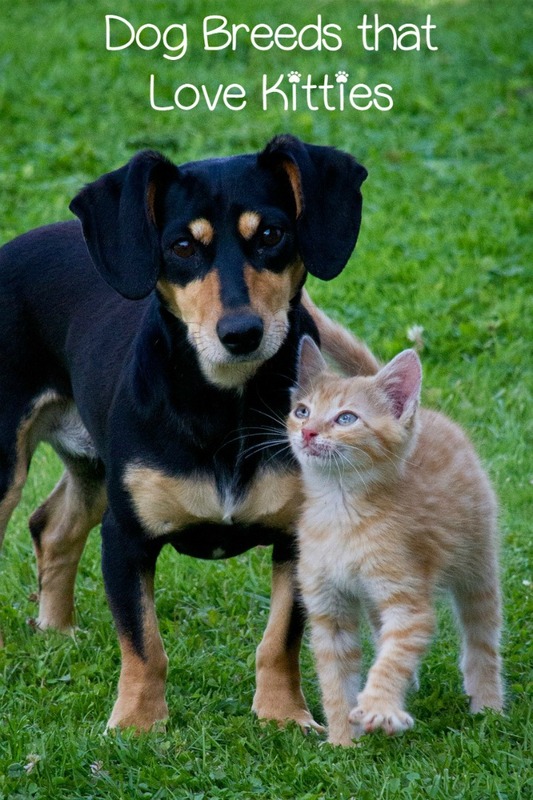 Which Dog Breeds Get Along Best with Cats? Today we’re talking about top dog breeds that get along with cats. Everyone knows that cats and dogs are eternal arch enemies, right? They’ve even made numerous kids’ movies about the ongoing war! While it’s true that some dogs and some cats REALLY don’t get along, that’s not ALWAYS the case. When raised around each others, cats and dogs get along quite well. Still, some dog breeds do tend to get along better with their feline housemates. Let’s talk about those! Related: Cats & Dogs: Natural Born Enemies or BFFs? It’s All in How You Introduce Them! Maltese– Maltese is a small breed of dog that likes to lie around the house and doesn’t pay attention to much of anything, including cats. Even the toughest Maltese dog knows better than to take on the laziest of cats. While they are small lap dogs, they really just like to hang out more than anything. Maltese are ideal for new cats but they are also ideal for older cats that just want to be left alone. Golden Retriever– Golden Retrievers are not only great with kids but they are ideal breeds for families with cats as well. 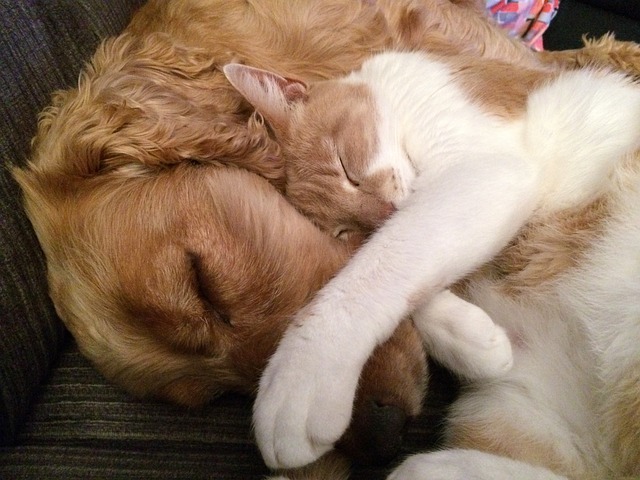 Golden Retrievers are great with cats of all shapes, sizes and ages. These dogs play well with cats and won’t rough play with them. Retrievers don’t make the best guard dogs but they will do whatever it takes to protect a baby kitten. Retrievers make a great dog for the whole family and they are great companions. Beagle– These scent dogs are born to be hunters but oddly enough, they are one of the top dog breeds that get along with cats! When outside, Beagles will chase cats around the yard but it is a different story when they are inside. Beagles treat cats like a snuggle buddy inside the home. Beagles are great watch dogs but since they make friends pretty easy, it is hard for them to be guard dogs. Border Collie– Border Collies are very intelligent dogs and will try to outsmart their owner. They are ideal to be around cats because of their strong herding instincts and their smarts. In fact, Border Collies are quick to accept any type of new family pet as part of its herd, as long as you introduce it properly! This puts them at the top of the list of dog breeds that get along with cats. Basset Hound– Basset Hounds are not the most obedient dog breeds but they do have a great temperament, especially when it comes to cats. Hounds are very attached to their owner so they may have a pity party if you pay too much attention to the cat but they are very loving towards the little fur balls. Honestly, any pup can become one of the top dog breeds that gets along with cats, as long as you take the time to introduce each furry friend properly. Let your dog know that the new kitty is a family member and not a threat. Often, it’s harder to get an old cat to accept a new dog than it is to get an old dog to accept a new cat! Maybe we should talk about which breeds of cats get along best with dogs! Do you have any of these top dog breeds that get along with cats? 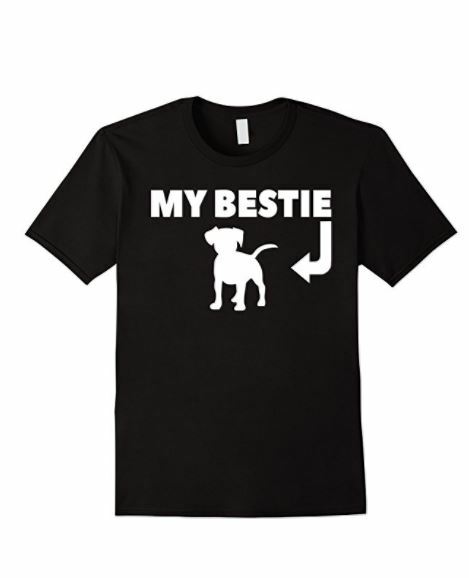 How about another breed that loves his feline friend? How did you introduce them to each other? Tell us in the comments.